River and Cabana Pool views accent this fresh 2 bedroom 2 bath condo overlooking Kennewick's renown "Columbia Park". 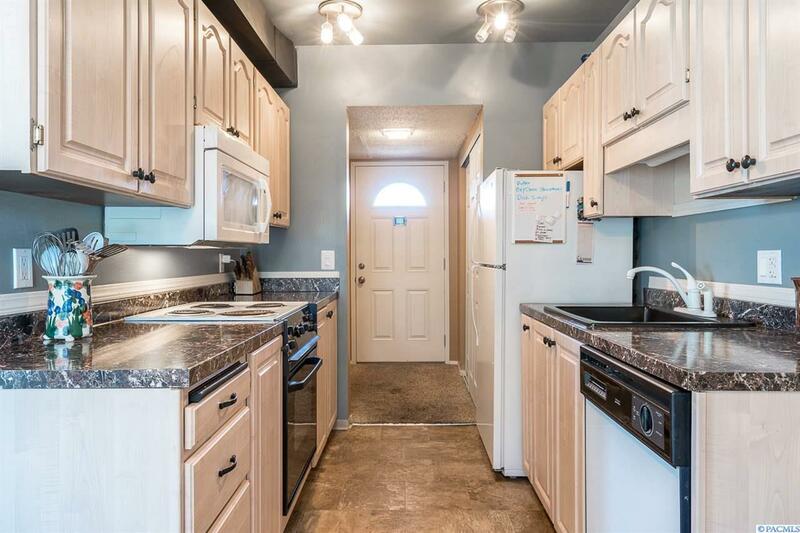 Featuring: Bright Kitchen with newer cabinets/counter tops/sink/lighting etc. Floor to ceiling windows that allow stunning views of the river and pool from the Dining Area with its hardwood flooring. Newer vinyl windows with over-sized slider to access the Viewing Balcony. Entertainment sized living room with gorgeous relaxing fireplace and beamed ceiling. More river views from the Master Suite with large closet space, updated Master Bath with newer shower and washer/dryer combo. Large Guest Bedroom also ready to use as office with built-in desk and spacious closet. Updated, tiled Guest Bath as well as paint in modern colors throughout. 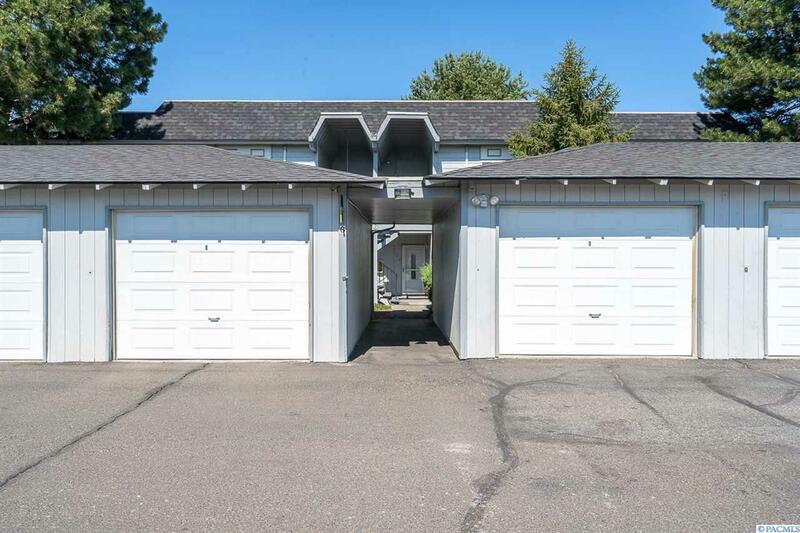 Private finished garage with work bench, auto garage door and loft storage. Community Pool and Clubhouse complete the home. Step out to the over-sized balcony and enjoy barbecues with friends while watching the peaceful Columbia River and beautiful sunsets. 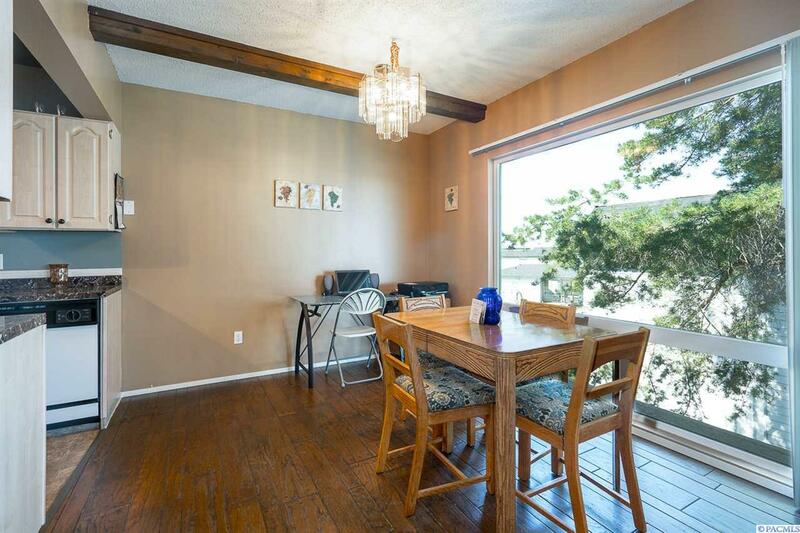 Waste no time as this condo is one of a kind. Call for a viewing today.